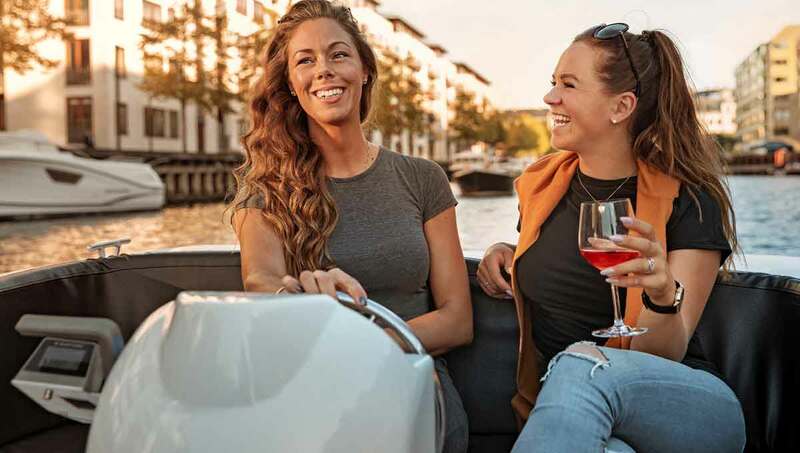 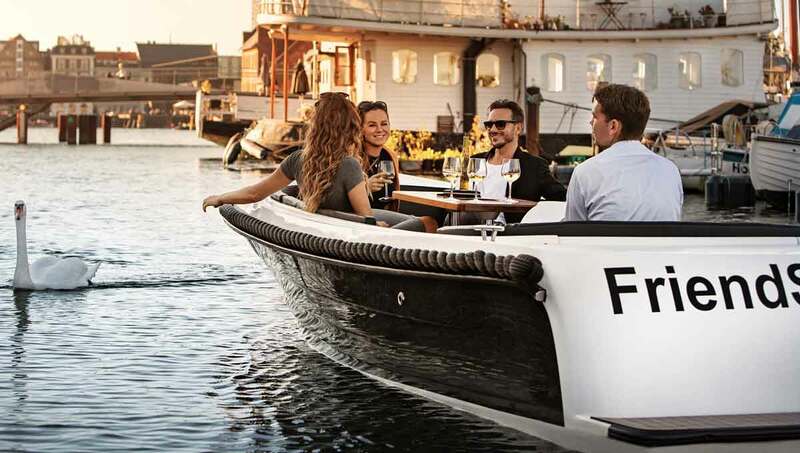 With FriendsShips, you are renting a user-friendly boat in a beautiful design, which does not require any certificate or previous experience to rent. 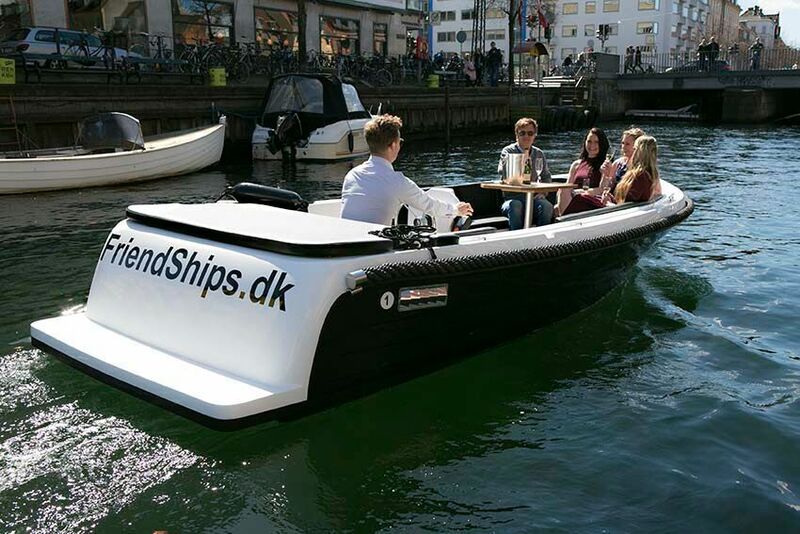 All of our boats are electric and are controlled with a steering wheel. 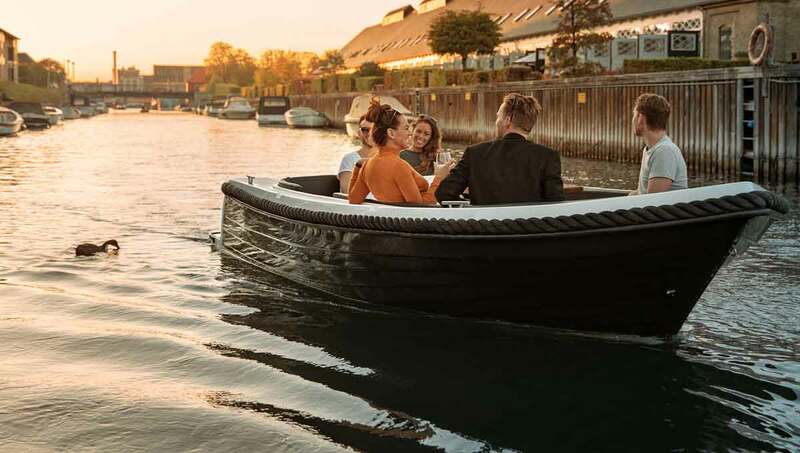 The boats are equipped with soft cushions to make sure you are sitting comfortably, and in the centre of the boat we have placed a large wooden table. 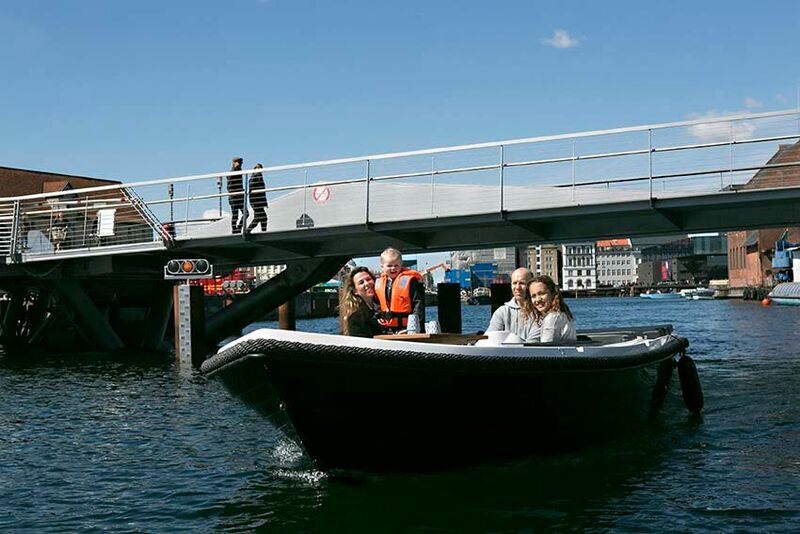 The boats can hold up to 8 people, with plenty of legroom and will bring you comfortably and almost silently through the city. 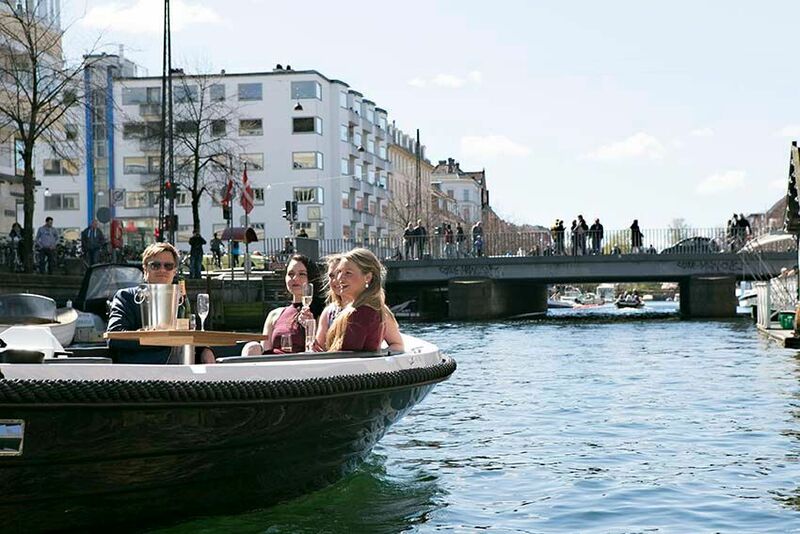 It is without a doubt one of the best choices if you are looking for a unique "hygge" cruise.